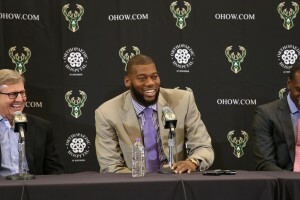 Signaling what the Milwaukee Bucks hope is the end of their frustrating futility, center Greg Monroe has signed a three-year, $50 million contract. 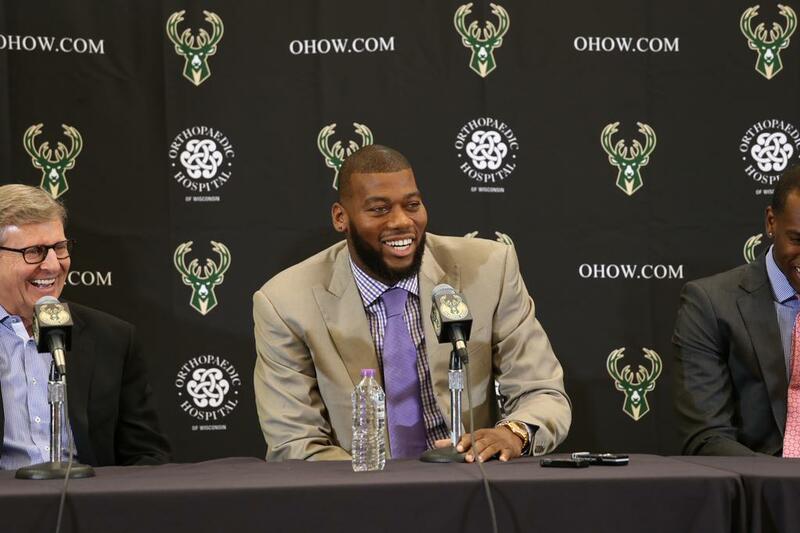 The deal was first reported last week, but could not yet be made official because of the NBA’s signing moratorium. In five seasons with the Detroit Pistons, Monroe averaged 15.9 points, 10.2 rebounds and 2.1 assists per game. Monroe said this was purely a basketball decision, spurning offers to play for the Knicks or Lakers. Brewers starter Wily Peralta went 6 1/3 innings of one-run ball, notching the win in a 3-1 Brewers victory over the Mets in New York on Wednesday night. Peralta, who has been erratic at times this season, made his best start in nearly a month, limiting New York to four hits and one walk to set up a rubber game on Thursday night at 6:10 – the Brewers final road game o this trip. After allowing three of the first five batters he faced to reach base, Peralta calmed down and retired 16 of his final 18 hitters, before manager Ron Roenicke went to the bullpen. Scooter Gennett opened up the scoring for Milwaukee when he doubled to lead off the third and came around on Jonathan Lucroy’s RBI groundout. An inning later, Jean Segura knocked in Aramis Ramirez with a single to left, and finally in the fifth, Carlos Gomez‘s grounder to second base turned into an RBI single when Mets pitcher Jacob deGrom didn’t cover first base, scoring Ryan Braun. Lucroy finished 3-for-5 with an RBI and two doubles, and is batting .444 in June. The #15 Football Badgers regular season comes to end Saturday as they host Penn State at Camp Randall. It’s Senior Day for 26 Wisconsin players who will run on the field for the final time. The Badgers defense will try to keep their scoreless streak in tact. They have not allowed a touchdown in 8-quarters. The 7-points Minnesota put up last weekend were on a defensive score. The Badgers still have a fairly decent shot at a BCS bid. To become eligible, they need to move up into the top-14 of the rankings. That is likely with a win as a few teams in front of them play other top 14 teams. The big game to watch will be the Big 10 title game next weekend between #3 Ohio State and #11 Michigan State. A Michigan State win would send the Spartans to the Rose Bowl and likely give Ohio State an at-large bid shutting out Wisconsin. A Ohio State victory would definitely open the door for the Badgers. Wisconsin sits 9-2 on the year and 6-1 in the Big Ten. Penn State is 6-5 overall with a 3-4 Big Ten record. Kickoff is 2:30. The Milwaukee Bucks will try to snap their 10-game losing streak tonight as they visit the Charlotte Bobcats. Tip-off is 6:00. After a 2-2 start to the year, the Bucks have dropped to 2-12 on the season. Only the Utah Jazz at 2-14 have a worse record in the NBA. The franchise record losing streak for Milwaukee is 15-games, which was set in the 95-96 season. It will be a busy weekend on the ice for the Wisconsin Badgers. Big Ten play opens up for the #12 Wisconsin Men as they visit #1 Minnesota. Wisconsin is 4-3-1 on the year after having a bye last weekend. The Gophers are out to a 9-2-1 record to start the season and are coming off a split at Minnesota-Duluth last weekend. Friday’s start is 4:00 while Saturday the puck drops at 5:00. The #2 Wisconsin Women visit Minnesota-Dulth for a pair of games starting tonight. The Badgers are 11-2-1 and have gone 9-0-1 since a winless visit to top ranked Minnesota in mid-October. Start time both nights is 6:00 pm. With the Thanksgiving Holiday comes numerous College Basketball Tournaments. #10 Wisconsin Men earned victories over St. Louis and West Virginia to take the Championship in the Cancun Challenge. The Badgers are 8-0. #25 Marquette men won their opener in the Wooden Legacy Tournament in Fullerton, CA. They topped Cal-State Fullerton 86-66. Jamil Wilson had 24-points to lead Marquette. They take on George Washington at 2:30 Friday afternoon. Marquette ids 4-2. Green Bay men topped Pepperdine 97-89 Thursday in the opening round of the Great Alaska Shootout. The Phoenix are now 3-1 and face Harvard Friday night in semifinals at 11:00 pm. Milwaukee men are the only Division 1 team in state that is not in a Holiday Tournament. The 6-2 Panthers visit Missouri-Kansas City Saturday night. Wisconsin women take on Mercer Friday in the Vanderbilt Tournament. Badgers are 3-1. Marquette women are in Vegas for the South Point Thanksgiving Tournament. They get Tennessee Tech Friday. Marquette is 4-1. Green Bay women face William & Mary Friday in the Maine Thanksgiving Tournament. Phoenix sit at 4-1 on the year. Milwaukee women are in New Mexico for the New Mexico State Holiday Tourney. Lamar is up first for the 1-3 Panthers. The Packers were no match for the Detroit Lions today getting routed 40-10 at Ford Field. It was the largest loss by the Packers since losing to New England 35-0 in 2006, Mike McCarthy’s first year as Head Coach. It was a rough day for Matt Flynn who made his first start of the season for the injured Aaron Rodgers. He was just 10 0f 20 through the air for 139-yards, threw a pick, fumbled twice and was sacked 7-times. The Packers couldn’t get anything going on the ground either. As a team, they carried the ball 15-times for only 24-yards. Eddie Lacy had just 16-yards on 10-rushes. The 126-total yards of offense was the least in a game since the 1978 season. The Lions racked up 561-yards on offense. Matthews Stafford threw for 330-yards and 3-touchdowns. Reggie Bush tallied 117-yards on the ground with a score. The lone Packers touchdown came on a Morgan Burnett fumble recovery, one of 4-turnovers the defense forced. The loss puts the Packers at 5-6-1, a game and a half behind Detroit who sits at 7-5. The Packers host Atlanta a week from Sunday. The Milwaukee Bucks losing streak hit 10-games Wednesday night after they fell to the Washington Wizards 100-92 in overtime at the BMO Harris Bradley Center. O.J Mayo sent the game to overtime when he connected on a 3-pointer in the final seconds. He led the Bucks with 21-points. The 5-minute overtime period didn’t go so well as Milwaukee was outscored 13-5 . Milwaukee is now 2-12 on the season. They visit the Charlotte Bobcats Friday. The #10 Wisconsin Badgers continued to build on their best start in the Bo Ryan era. They ran their winning streak to 8-games with a 70-63 victory over West Virginia in the Championship game of the Cancun Challenge Wednesday. Sam Dekker posted a double-double with 21-points and 12-rebounds. Ben Brust added 16 for the Badgers. West Virginia’s Eron Harris had a game-high 27-points. Next up for the Badgers is the ACC/Big Ten Challenge. They visit Virginia Wednesday. Last year, the Cavaliers won at the Kohl Center 60-54. Virginia is 5-1 on the year. 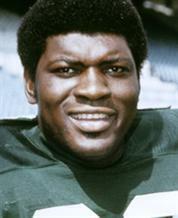 Green Bay Packer great Dave Robinson will be enshrined in the Pro Football Hall of Fame Saturday in Canton, Ohio.